the paper dialogues: bhldn.. on your feet! i've started looking at shoes for my wedding.... i feel like i'm voluntarily torturing myself when i look at attire for my wedding. 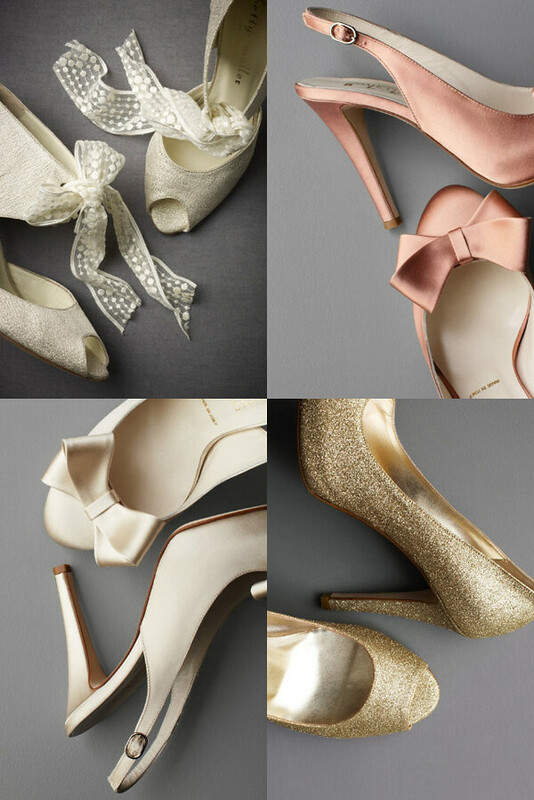 looking at the bhldn shoe collection is like eating a pint of ice cream after dinner. you think you're satisfied until you start eating that pint... which tastes so good while you're eating it. when it's over, all you're left with is the extra weight and feeling not so good! not sure if that made any sense...but in any case, the bhldn shoe collection makes me so so sad. especially those versailles booties on the top left. $535! so beautiful. too expensive :(. seen anything similar for cheaper ladies? Try Butter shoes! Or some of the Badgley Mischkas are not bad; some have interesting pops of detail, not just "I bought these and I'll dye them later"-type wedding shoe.